Falling comets in the night sky. Star fall. 3D rendering. 4k00:30Sky on Fire!. Continuous lightning from a distant storm, sprites above the storm's stratiform area, aurora, Perseid meteors, satellites, aircraft - and green gravity waves in the airglow at ~85 km. 4k00:13Timelapse of stars over timber house at winter night then clouds coming on dark sky. 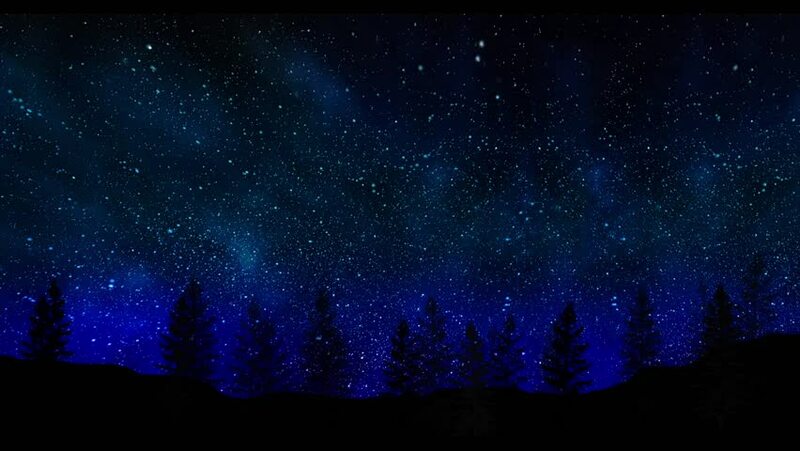 hd00:10Starry sky over the forest. Timelapse.